A Houston woman became extra reckless when she not only drove while intoxicated, but worsened her transgression because she did so while two young children rode with her. She has certainly put the children in harm’s way. 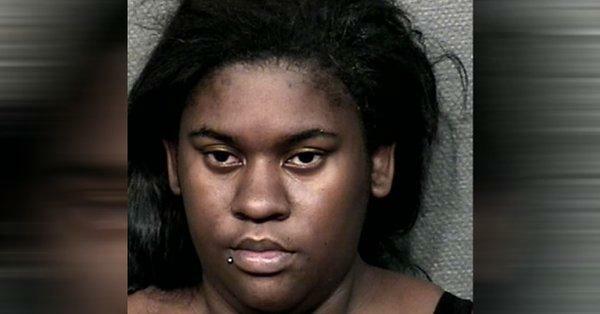 So intoxicated was 26-year-old Diamond Dee Anna Wright that when officers came to apprehend her, she was found slumped halfway out of her Lincoln Navigator while passed out at around 10:30 p.m. on Thursday in the 4700 block of Airline. The authorities also say that before Wright was arrested, she was also involved in an altercation with her sister about having an open container in her vehicle. The report did not specify if Wright is the mother of the children, or she was a relative babysitting for them. The kids’ age were also not indicated except to say they were small children. Wright’s sister was seen standing on the side of the road after she confiscated the intoxicated woman’s car keys. Police said the sister left Wright slumped over in the door frame of the car. Police released the children to their stepfather. Wright’s sister took a ride home. Wright is now facing a count of felony DWI with a child passenger. The condition of the children after the scary situation is not clear.